Did you know that our Humboldt Park personnel (2 full-time and 3 seasonal workers) are responsible for South Shore, Greene, Tippecanoe, Saveland, Cupertino, Bay View, and Morgan parks? This intimate team also services the Bike Trail from Cupertino to St. Francis in addition to the Mitchell Airport green space at Logan and Whitnall. That's a lot of space to cover! That's why it's so vitally important that us, residents and users of Bay View Park, do our part to keep it clean, safe, and beautiful for all! 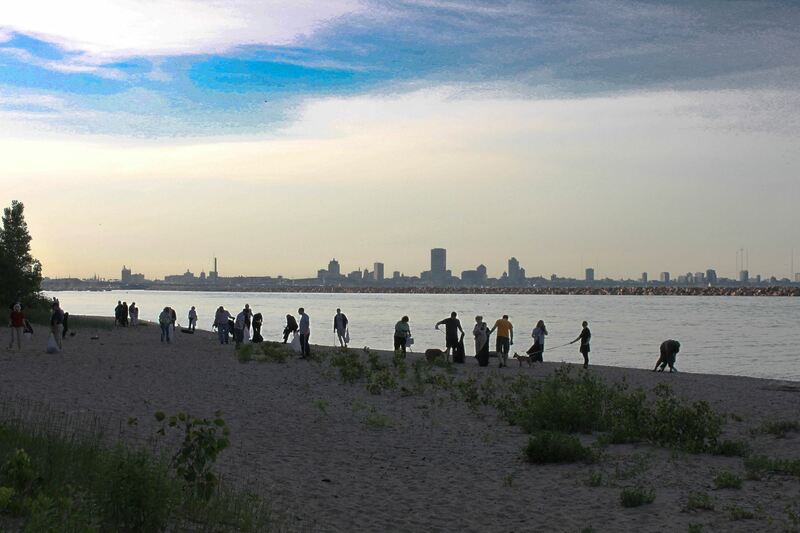 Join the Bay View Neighborhood Association throughout the year as we gather to clean our adopted beach. We supply the garbage bags and gloves – all you have to do is show up and be ready to pick up some trash. This is a great opportunity to meet your neighbors and take in the beauty of Lake Michigan.